Do you have a sensory bin???? This year, I am becoming OBSESSED with mine. My Kids LOVE IT. They are so engaged. They are having so much fun, they don't even realize they are learning! My Fall sensory bin has bird seed, baby corn from the store, hay from the Dollar Tree, little pumpkins from the Dollar Tree, and leaves from the Dollar Tree. I added mini acorns, mini pumpkins, and mini leaves from Target dollar spot. The cards come from my Fall Ten Frames. You get 3 different sets of cards- Pumpkin Kids, Scarecrow Boy, and Turkeys. Each set has numbers 1-10 and Sums of 5. They are in color and black and white. 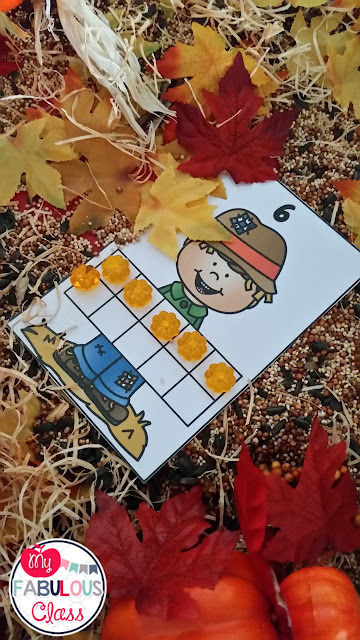 The kids really liked these Fall Number Cards, too. They used plastic tweezers to pick up the leaves and acorns. Great for fine motor. You get the cards FREE HERE. These Fall Subitizing Cards were also a hit. The pumpkin ice tray is from the Dollar Tree. LOVE IT. There are so many ideas for it. You can get the cards and the recording sheet FREE in my store. I will keep rotating these centers for the rest of November, but I have already started collecting new items for a Christmas bin and a Winter bin. I can't wait to share those with you! 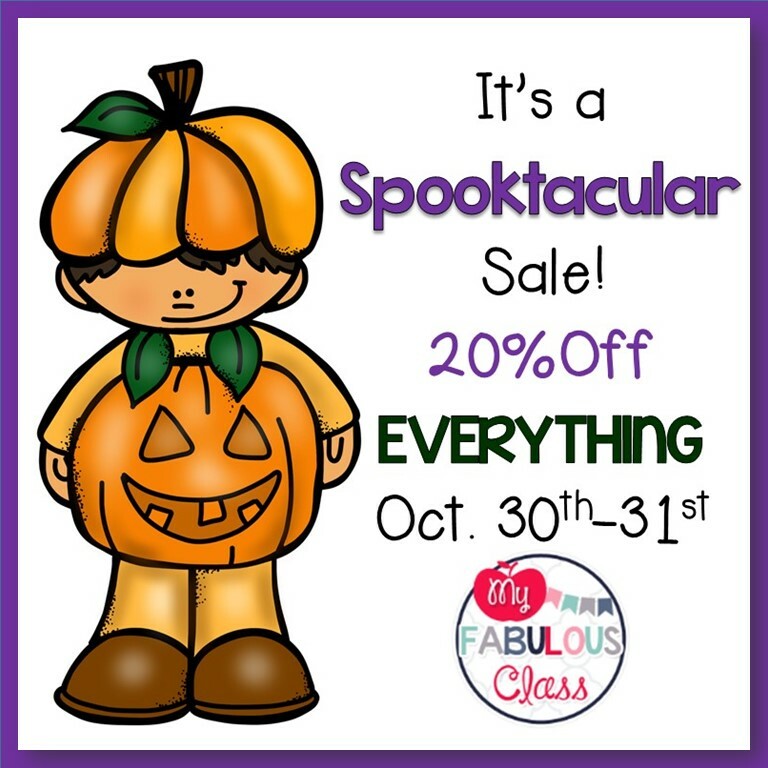 By the way, my ENTIRE store is ON SALE Today and Tomorrow. Best way of learning. Hats off teacher. Actually we all need to adopt this way to make learning interesting. Now a days students are become more lazy and they are depending some inexpensive essays service to complete their academic tasks. Why so.? Really appreciable work and keep doing. Good luck.